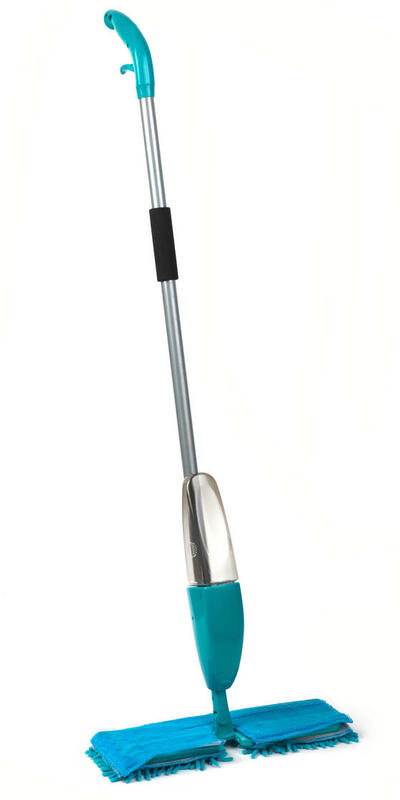 Discover a more efficient way to clean your floors with this double sided turquoise spray mop which eliminates the need for a heavy water bucket. Simply fill the water cartridge and use the spray function to add water while you mop for an intense clean with minimal effort. 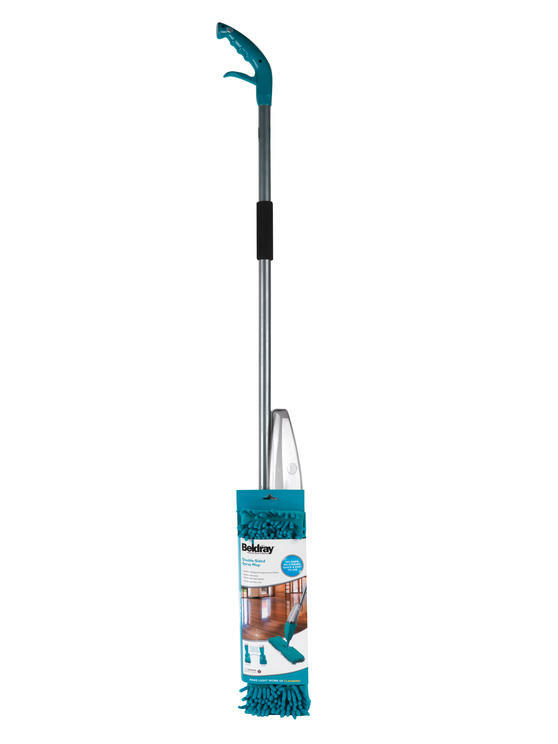 The mop is lightweight but durable, with a double sided microfibre and chenille mop head which enables the mop to be used on a variety of different surfaces, leaving your floors brilliantly clean with maximum shine. This Beldray spray mop is lightweight and easy to use, measuring 39.5 x 10 cm with a 124 cm handle, long enough for comfortable use. 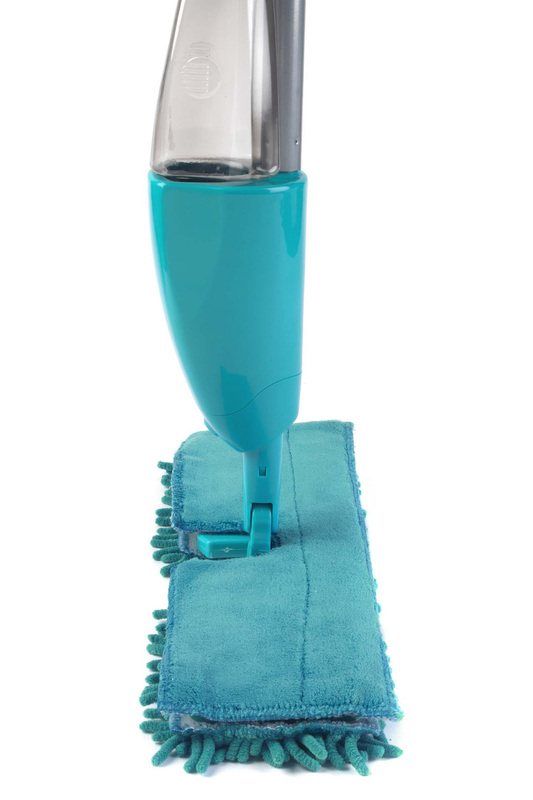 It has a water spray trigger built into the handle, while the refillable water cartridge is a hygienic alternative to a mop bucket. The chenille mop head can efficiently clean tough or uneven surfaces such as kitchen tiles and can be used for scrubbing dried on dirt. 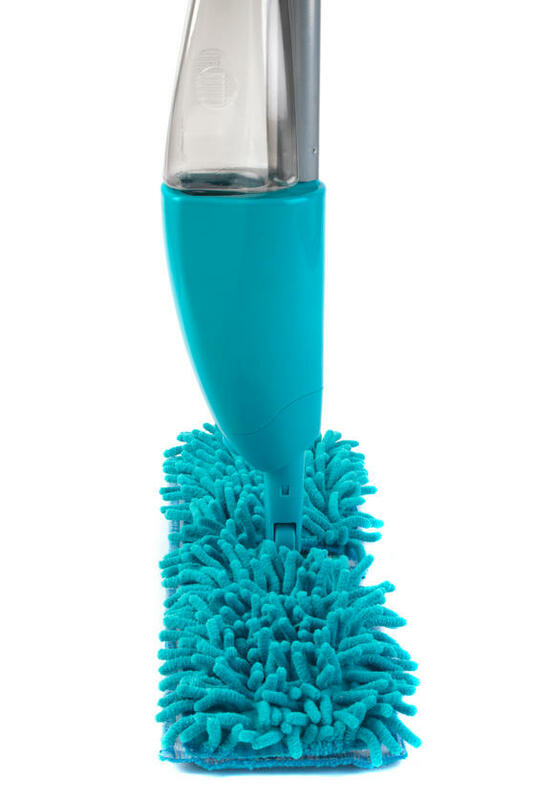 I love this mop it's fantastic only one problem I can't seem to buy any more micro fiber cloths for it so whilst the set I have is being washed the mop is redundant and I have to use an alternative mop which I don't like to do. Great mop but agree with other reviews, replacement chenille and microfibre heads would be useful.